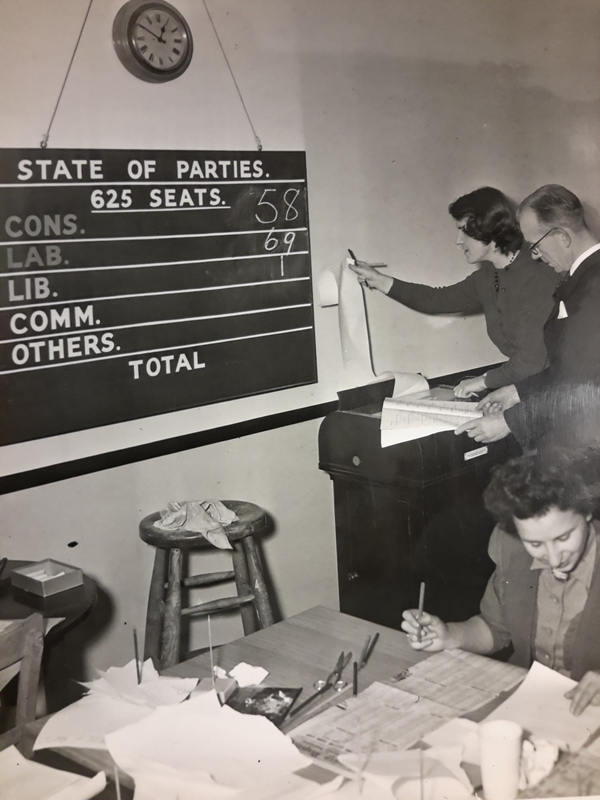 As we near the end of polling on Election Day 2015 with the Conservatives and Labour neck and neck and each predicted to win 34% of the vote, psephologists around the country will be anxiously awaiting the final test of their opinion polling techniques. 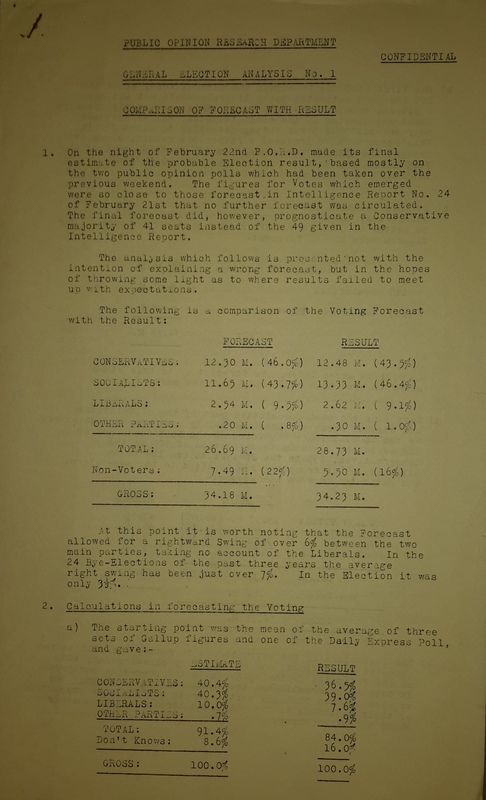 Opinion polls have been a major feature of this election campaign, but rarely have they been completely accurate in predicting the outcome of an election, and typically the polling methodology used has received almost as much analysis as the election result itself. 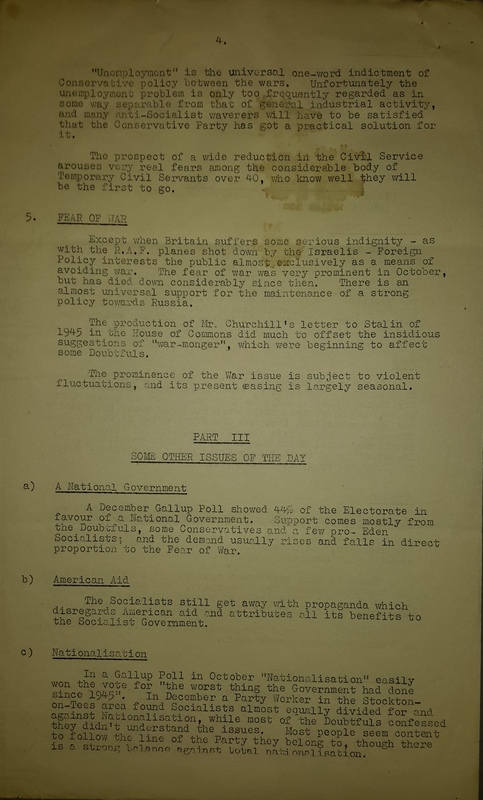 The February 1950 general election proved no less of a headache to pollsters. After 5 years of a Labour government following a strict austerity programme, the Conservatives under Churchill were confident of victory. 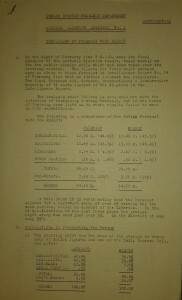 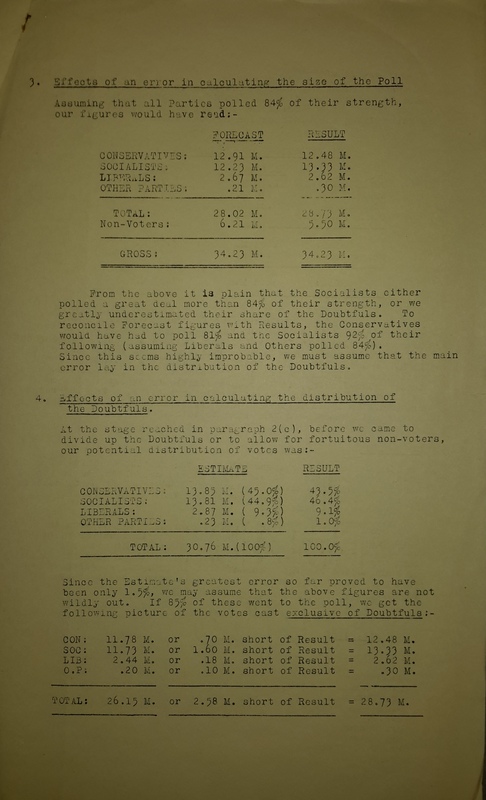 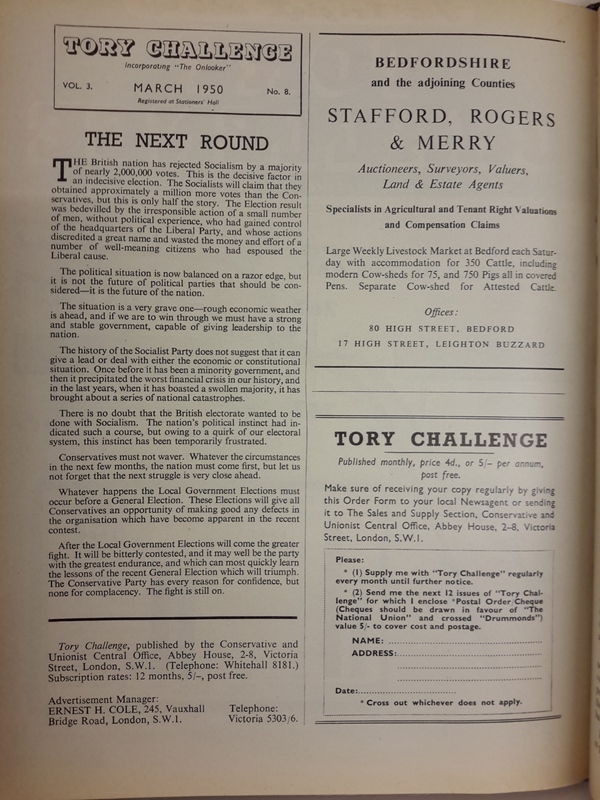 Demonstrating the growing interest in scientifically-based opinion polling, Conservative Central Office set up its own Public Opinion Research Department (PORD) at the end of 1948. 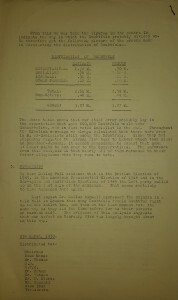 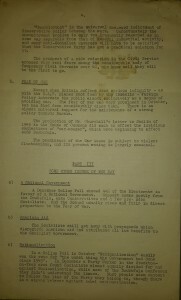 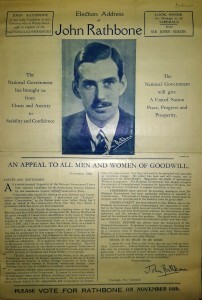 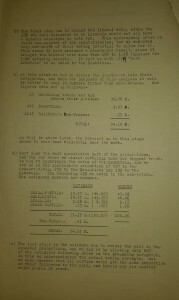 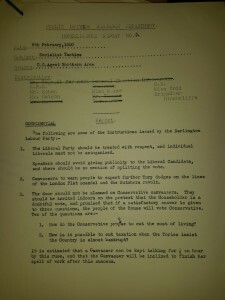 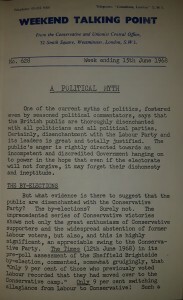 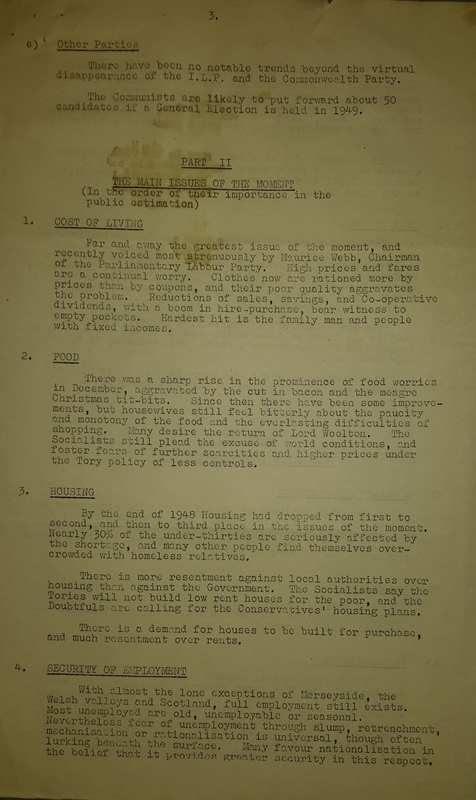 The PORD, whose surviving records form part of the Conservative Party Archive at the Bodleian Library, produced summaries of public opinion based upon intelligence reports sent in by Area Agents around the country who reported on reactions to Party broadcasts and local election rallies, as well as opinion polls published in the Press. 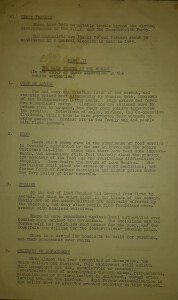 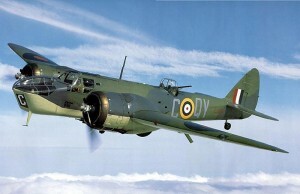 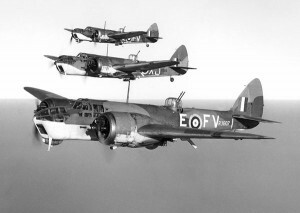 Its monthly summaries were circulated to Party officers, shadow Ministers and MPs, while a ‘Confidential Supplement’, which contained much more sensitive information, had a more restricted circulation of the Chief Whip and a select group of shadow Ministers, including Churchill. 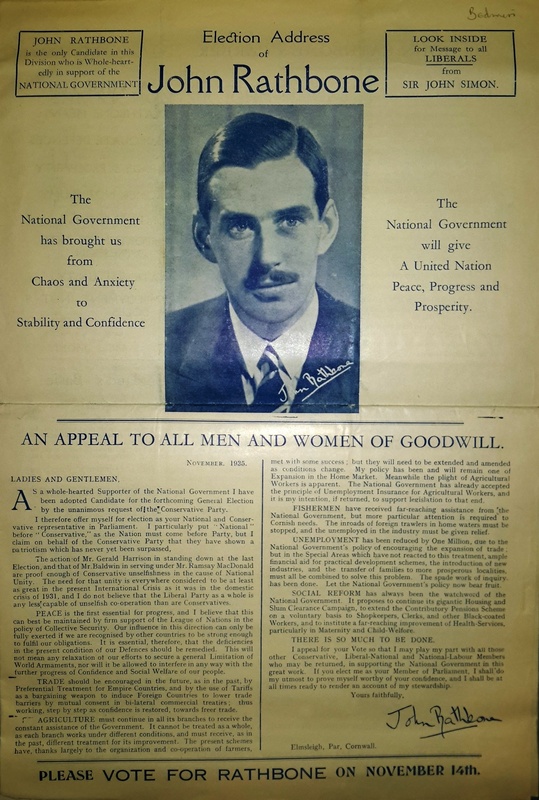 Though noting in this report that 44% of those polled by Gallup in December 1948 advocated the formation of a National Government, PORD consistently predicted a good result for the Conservatives in the year prior to the general election. 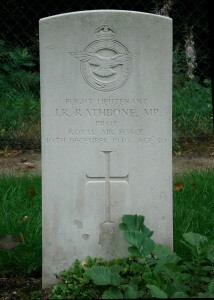 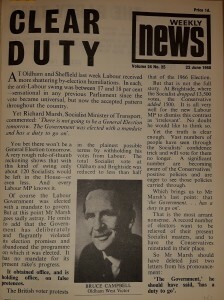 Conservative defeatism and despondency is spreading, and with it there has been a rise in the Socialists confidence of coming victory’ and, ‘Although there is no vestige of evidence in any of the public opinion polls to support the expectation of a Socialist victory, the City of London continues to reflect the Conservative pessimism. 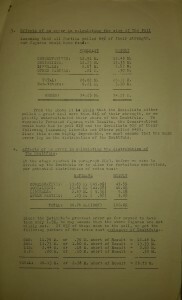 Wall Street is apparently following the City’s lead, and extending its view across the United States. 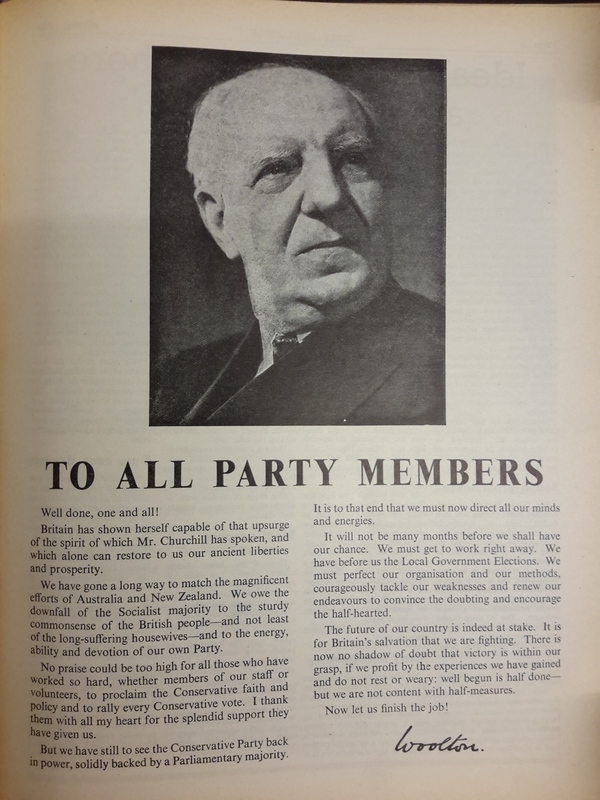 On 11th November, 1949, it predicted 49.3% for the Conservatives and 41.4% for Labour, which would have resulted in a comfortable majority of 109 MPs in Parliament. 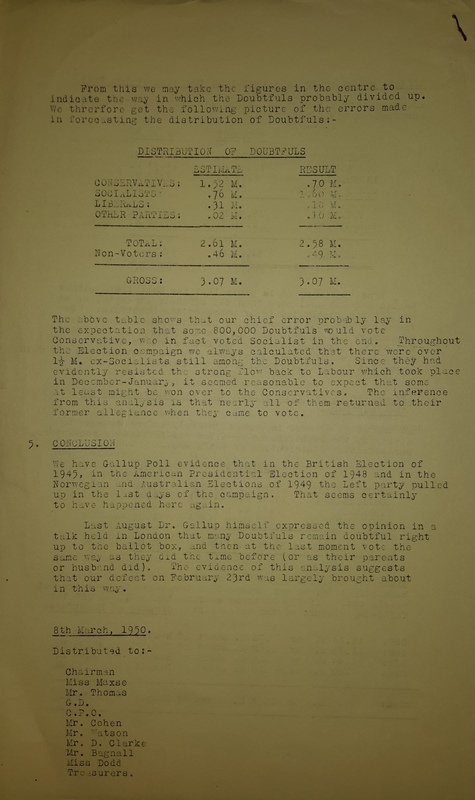 This changed to 49.1% and 41.4% respectively by December, but in its last report on the evening before the election it dropped this substantially further to 46% and a 41-seat majority. 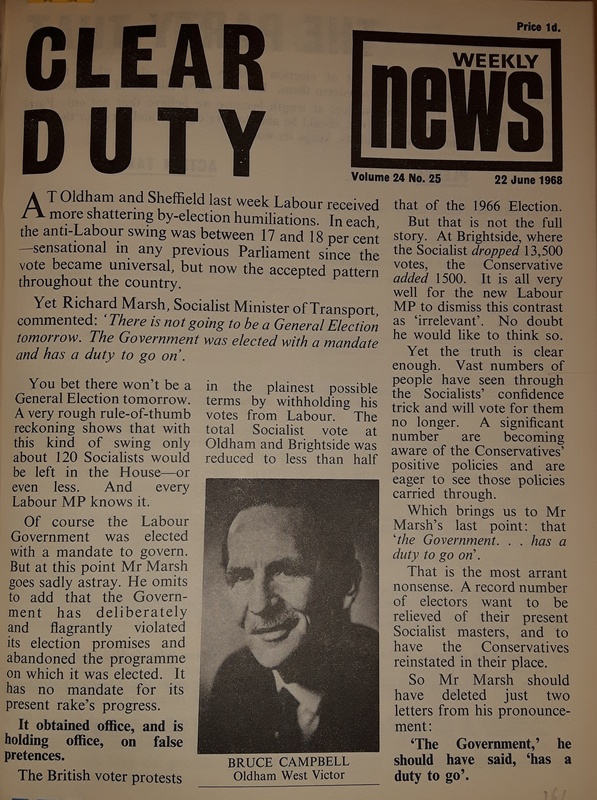 The result, when it came, was 43.5% for the Conservatives, 46.4% for Labour, and a Labour majority of 5. 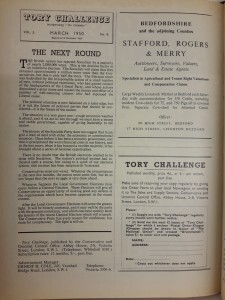 Opinion polling has come a long way since 1950, although even in 2010 most pollsters under-estimated the final result achieved by both Labour and the Conservatives, and the 1992 election suffered probably the worst predictions of modern times. 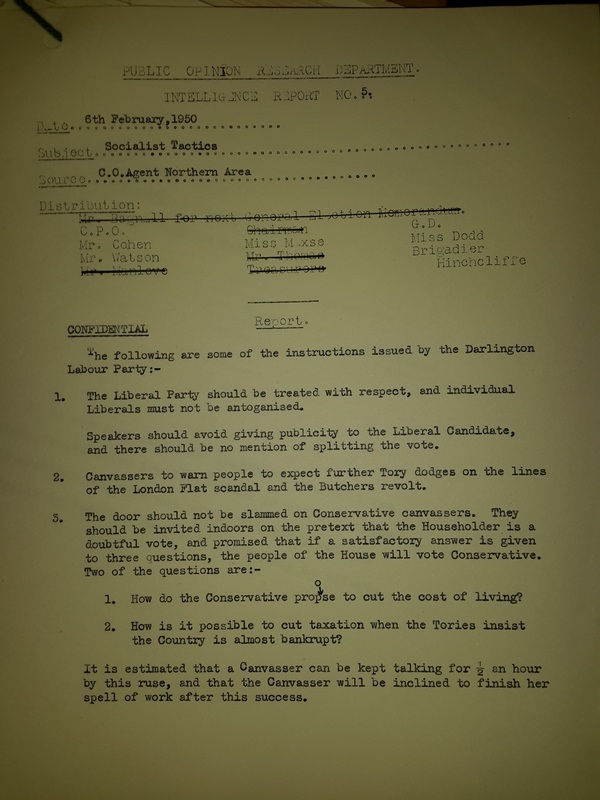 The PORD barely survived its dismal predictions at the 1950 election, being wound up in 1953. 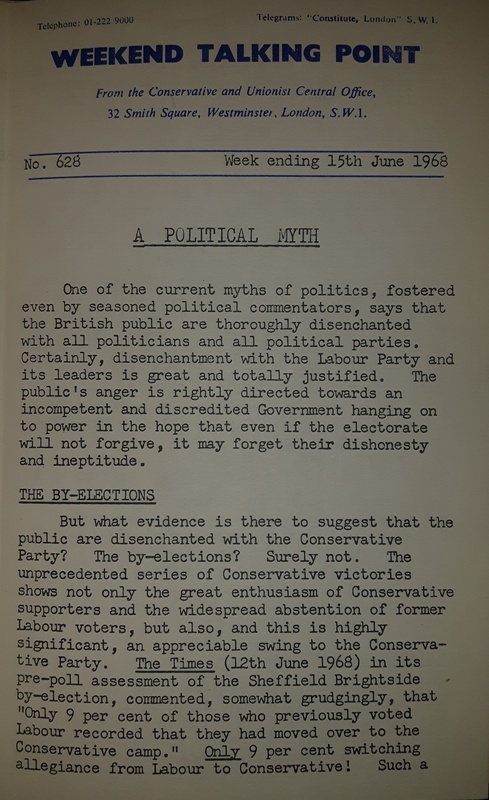 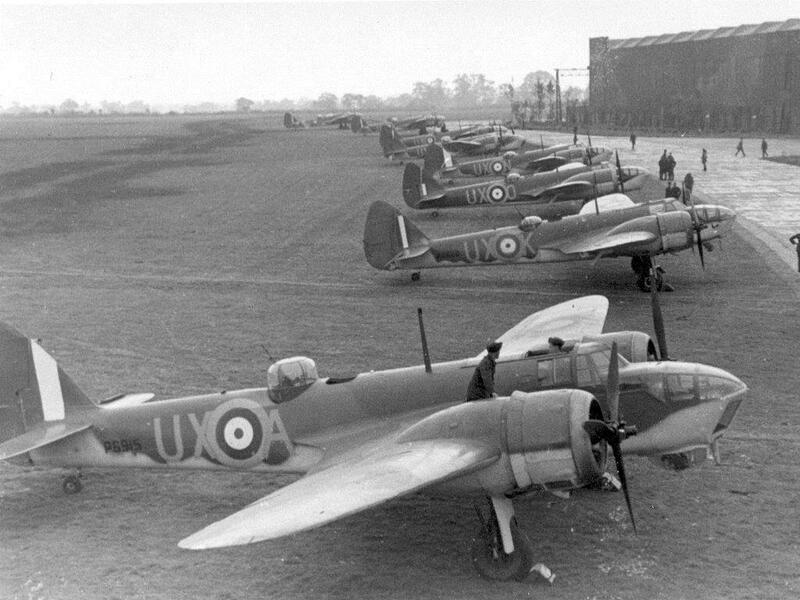 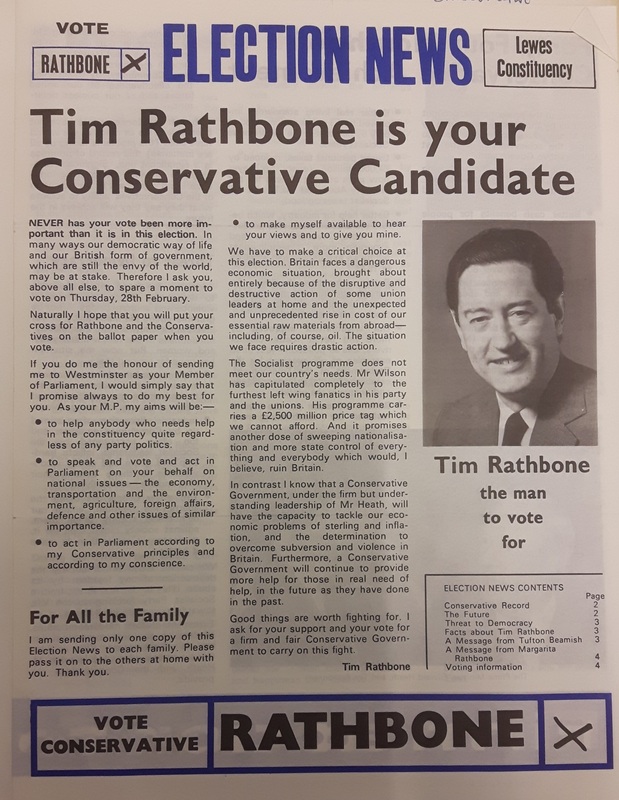 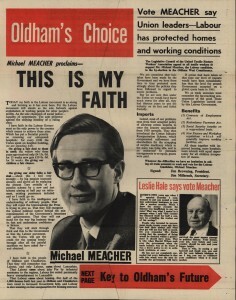 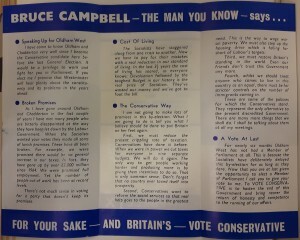 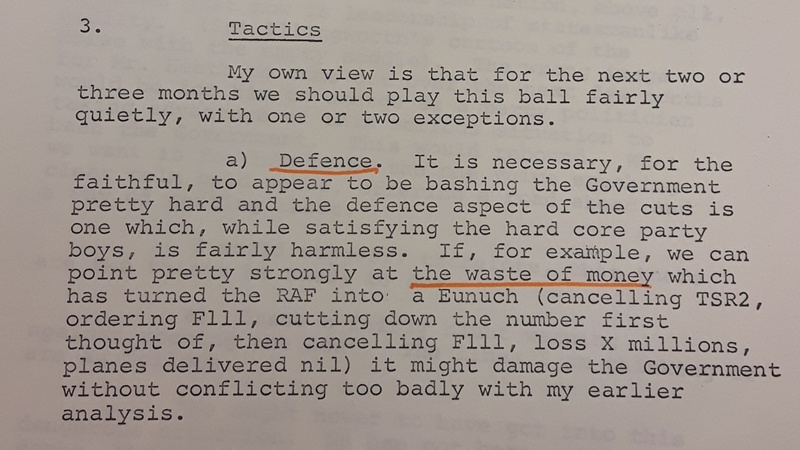 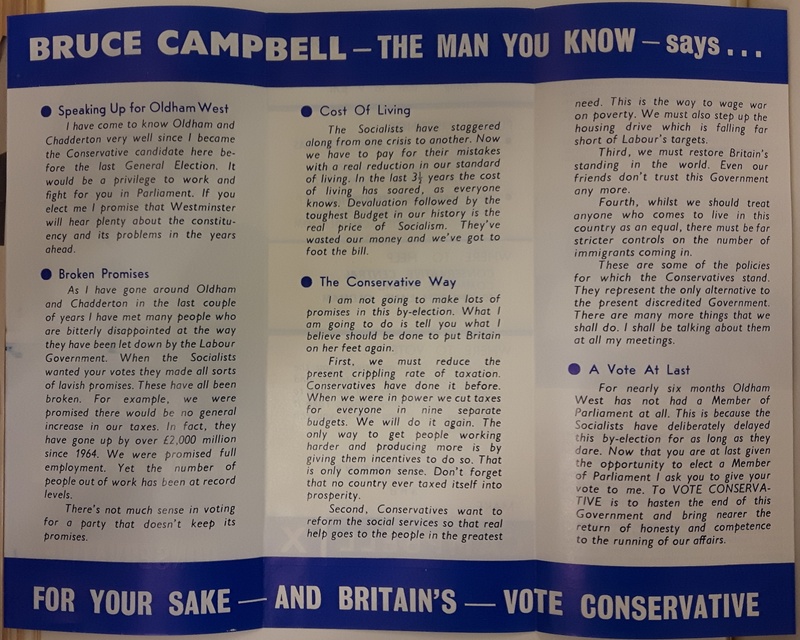 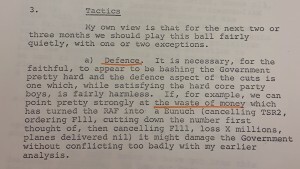 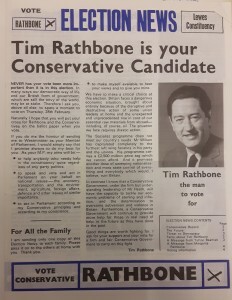 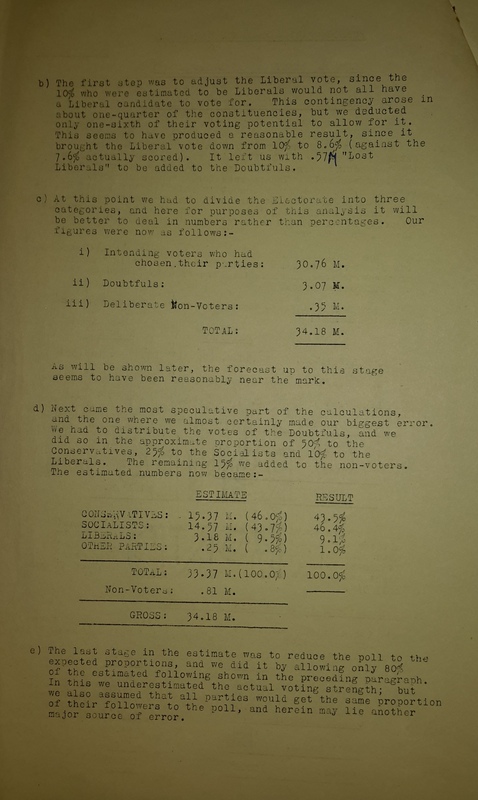 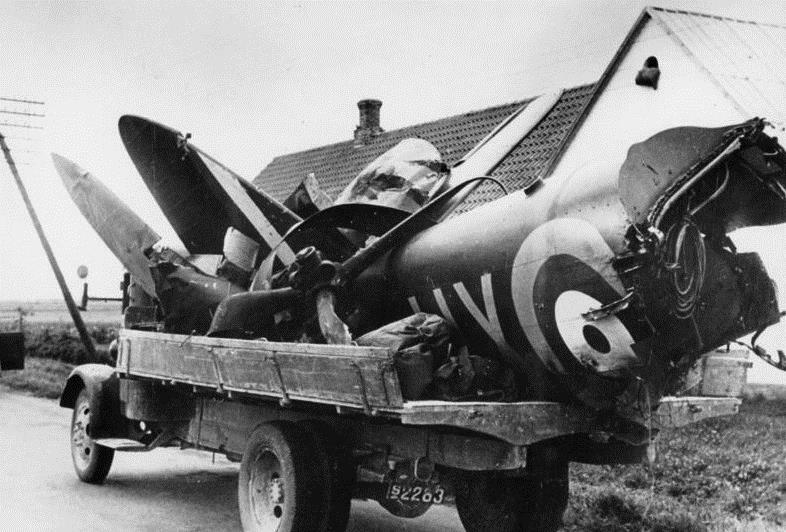 Its work continued though, being taken up by the Conservative Research Department, and records of 60 years’ of opinion poll analysis survive and are available for research in the Conservative Party Archive.